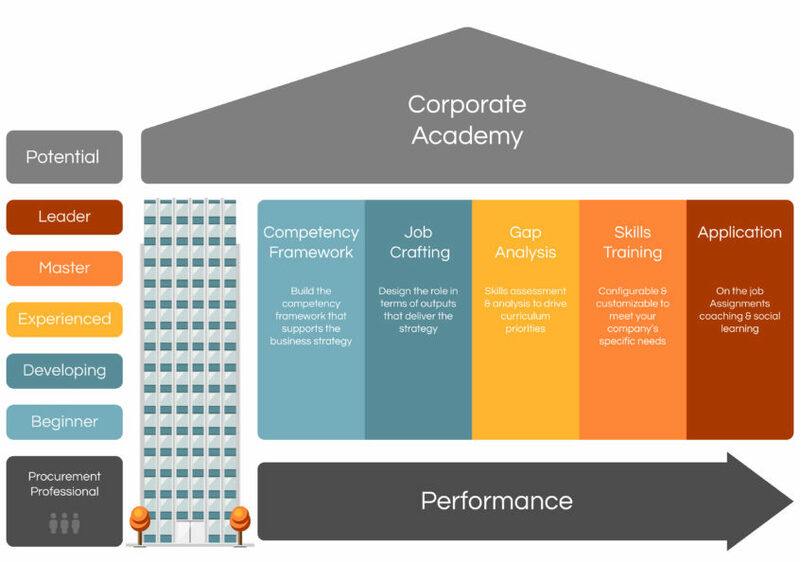 Planning Your Procurement University or Academy? 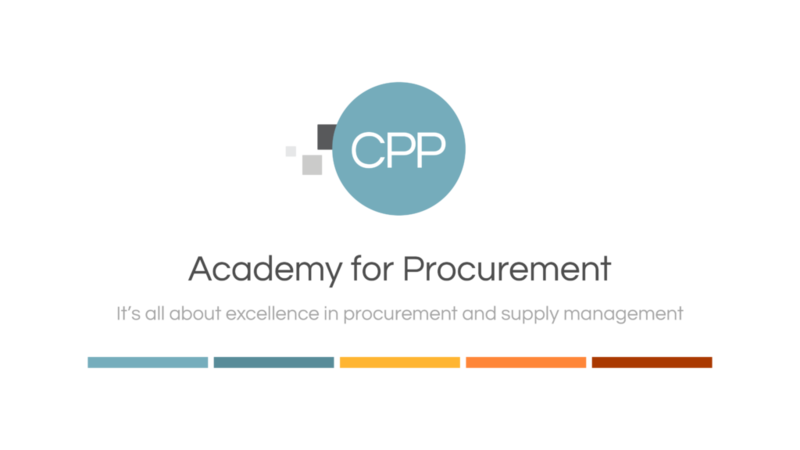 We offer guidance around three critical pillars for sustaining a Procurement University as a viable part of your business. The process of setting a strategy helps you to remain true to your values and on-track to achieve your objectives. Its purpose, is to demonstrate how your Procurement University adds value, be it through learning or non-learning-based solutions. The first question to ask yourself when considering a Procurement University or Academy for your organization, is why? Drivers -what do you need it for? Activities -what will it do? Goals – what will be its aims and how should they be expressed? Secondly, be clear about your values and how the University projects and sustains them. Where you’re going with it? Articulating direction through a vision and mission statement and aligning your strategy with your business strategies. Thirdly, when considering the purpose of your Procurement University? Is it to revitalize the training and development department? Become a focal point to embrace change and deliver a variety of new initiatives? Sustain a successful and effective culture? Critically, as with any major initiative, the university should have a visible, high-level champion. Someone who is willing to support, visibly, the university in achieving its mission. Always, start when setting strategy and defining the role of the university to ensure that it satisfies a business need. Appropriate performance measurement makes the connection between the business need and the learning solution. Furthermore, the Procurement University exists only with the support of senior management. Importantly, don’t neglect to include the middle managers. Those who allocate resources, provide funding, allow individuals to participate in programs and support the Procurement University initiative. Moreover, identifying the root cause of a performance gap is the starting point for stakeholder engagement. Remember, issues may not necessarily point to a training need but an alternative solution. Furthermore, a performance improvement approach facilitates the ROI calculation before you ever build a course or program. Should it report to HR, a CXO or the CEO? Will its scope be global, regional, or local? Next, while a board can demonstrate support, it is more important to have representation that can provide input. Also, the higher the level of executive input, the more the university is a part of the organization, with the higher-level managers providing the impetus for middle manager involvement. Firstly, remain focused and stay relevant to avoid becoming out of touch with your stakeholders. Importantly, managers need content delivered locally, with products and services that are relevant to the organization’s needs. Likewise, programs need customizing to meet these needs and offered to participants in a manner that works. Today’s delivery platforms provide a rich Web 2.0 experience. Options such as progress tracking, wiki’s and gamification provide a forum that makes global access a reality. While this creates an engaging learner experience, the most critical component is the credibility, suitability, and quality of the learning content itself. Learning transfer to the job is critical to success. However, problems often stem from dysfunctional work environments that inhibit the transfer of learning into workplace performance. Creating a variety of techniques to enhance the transfer of learning can help overcome this challenge by analyzing the context in which new learning initiatives take place. Operating within a budget, providing programs efficiently, managing vendor relationships productively and ensuring that the university offers excellent customer service is an essential aspect of running the Procurement University. Also, it includes allocating the appropriate resources to core competencies by evaluating the “make versus buy” decision. Your university must demonstrate its value to the organization. A typical approach is to develop a scorecard, showing the benefit of using qualitative and quantitative data. The challenge is to move beyond “input” metrics, such as the number of people attending, hours spent, costs to provide, etc. Instead, use metrics that show the contribution regarding application, impact, and ROI. An essential part of creating a university is its symbolism, and the inspirational effect it has on its participants and contributors alike. Your brand should link naturally with your corporate brand, following the same visual style, colors, livery, a logo, and typeface, etc. Including, all the materials that identify the university in stationery, and publicity materials for off and online use. Every product needs marketing to connect with its end users, your customers. Your university is your ‘product.’ Viewed this way, it requires the necessary visibility, and acceptance, for success. Especially internally, if learning programs are not mandated and externally if there is a goal to attract talent. Procurement Universities can be a strategic tool that adds value, drive change and contribute to revenue growth of the overall organization. Conversely, they will only achieve such lofty goals if the Procurement University is connected to the business to remain relevant. Additionally, managed in a productive, efficient manner and valuable to the organization. Finally, treating learning solutions as one facet of investments in human capital, managed concerning return, no different from technology or physical capital investments.